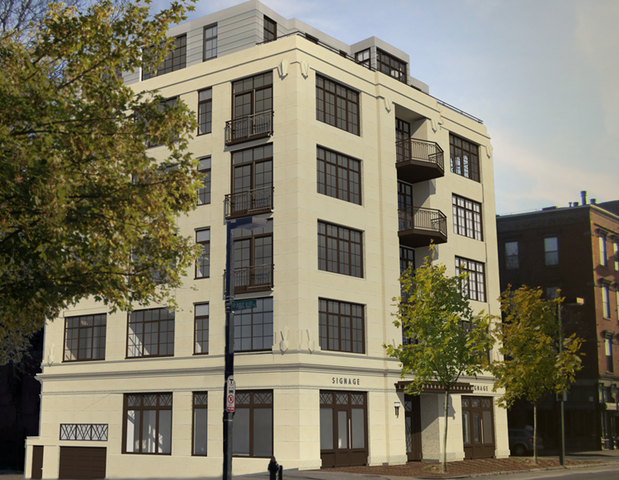 The Chevron on Tremont are five ultra-luxurious Parisian-style flats located in the heart of the South End. Each unit has private elevator access that brings it’s resident to a single-level living space consisting of at least 3 bedrooms, a den, and 2.5 bathrooms over 2,500 square feet. The finest European amenities were used throughout the units, and three-sides of window exposures provide abundant natural light and dramatic, panoramic views.